Mack & Associates, P.C., located at 116 E. Washington St, Suite One. in downtown Morris, is a public accounting firm specializing in income tax preparation for individuals and businesses. We provide bookkeeping and payroll processing services for businesses and municipalities. We can assist with business set up and computer and professional support. Our firm also performs audits of municipalities, construction companies, non-profit entities as well as other businesses. 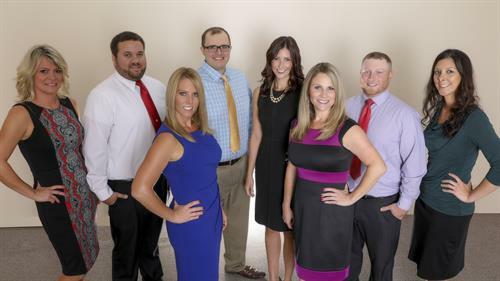 As a local mid-sized firm, our ability to serve all of our clients with the personal attention they deserve accompanied with the professionalism and expertise a larger firm can provide separates us from other accounting firms. We remain proactive throughout the year, keeping our clients aware of current legislation as well as making sure our clients are in full compliance with all laws and regulations. We also offer QuickBooks assistance and set-up for businesses. Our hands-on approach allows us to remain in contact with our clients throughout the year to ensure proper tax planning and provide our clients with the best possible strategic plan for their tax returns. Located across from the Grundy County Courthouse.